We are having a new wave of snow and the temperatures are very low. The roads around here are frozen, and my car under a coat of snow. Worse of all we had a break of electricity during all the morning yesterday, which meant no heating! Fortunately we have a fireplace. My son did a nice fire so that we could stay in front of it not to be frozen! At lunch time we began considering cooking in the fireplace when the electricity came back! Today it's time to tidy up : all the Christmas ornaments in boxes and the quilts in closets until next year. 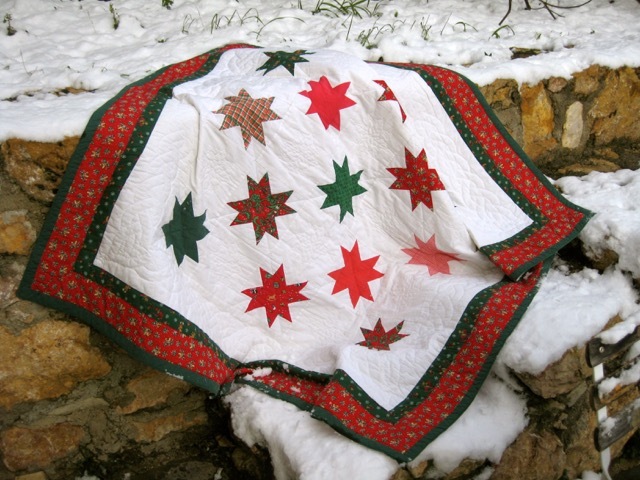 But before washing and putting my Christmas Stars quilt in its closet, I felt like taking some more pictures of it in the snow. Are these pictures were taken in Greece? is snow common in Greece? I didn't think you usually would get any - I bet it was pretty but we have lost our electric power often enough that it is not always fun to be without. Here it is very cold but we do not have snow but 7 degrees this morning- I have a fire going since yesterday to help the electric heat that we have because it is not doing a good job of heating the house when it is this cold. Chez nous pas de neige cette année bonne journée . Beautiful view you have. 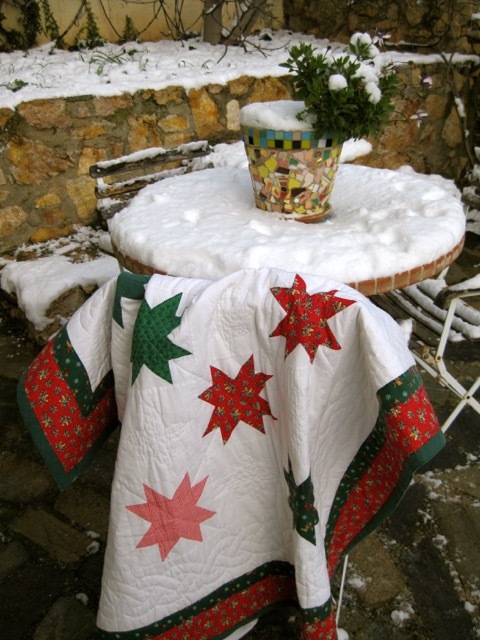 The stars quilt looks great in the snow. beautiful in the snow. Would be lovely snuggled under a quilt by the fire. 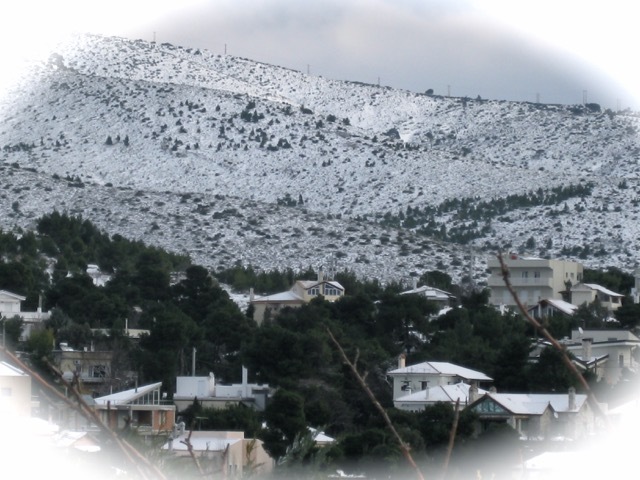 La Grèce sous la neige...quelle beauté ! Merci de nous partager ces belles photos ! lol...same view for me today, different trees :) I love the brightness of your quilt against the backdrop. This is the quilting season isn't it! A wonderful quilt, very nice. 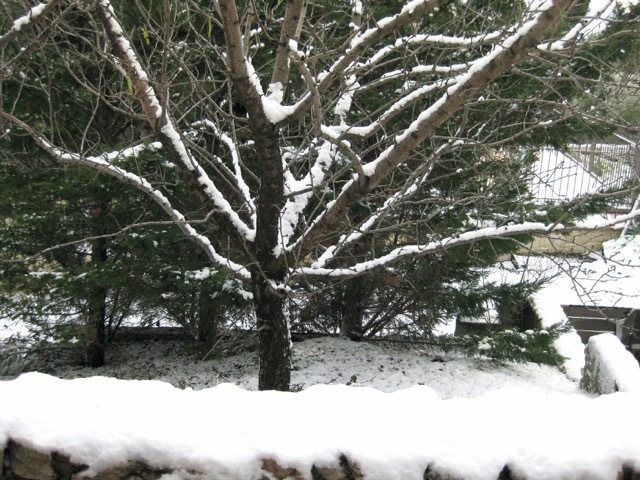 Like others - Greece and snow? I know it can get very cold there, but snow? Which part of Greece? So very pretty Christine - both your views and the Christmas Stars! I'm glad that I was not the only one who was surprised that you get snow.